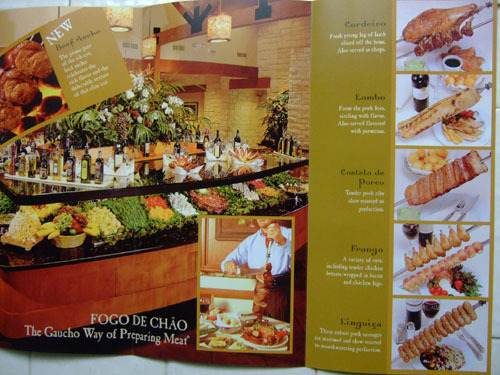 Founded in Brazil, Fogo de Chão is perhaps the most famous churrascaria chain in the world. 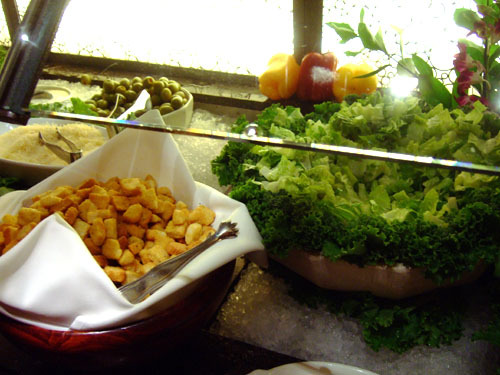 A churrascaria is basically a Brazilian steakhouse, in which meats are cooked on rotisseries and served rodizo-style, meaning that you pay a fixed price for waiters to bring you offerings of skewered meat throughout the meal, until you're close to bursting and in a meat coma. The meal was sponsored entirely by FoodDigger, an emerging online food-related community and restaurant review site; thus, I had no out-of-pocket costs save for the cost of gas used to drive to the restaurant. In any case, it'd been a while since I'd been to a Brazilian barbeque, so I was thus quite looking forward to the meal, both for the food as well as for meeting the other invited food bloggers: Famished L.A., The Foodie Traveler, Food Destination, Grubtrotters, Teenage Glutster, and Wandering Chopsticks. 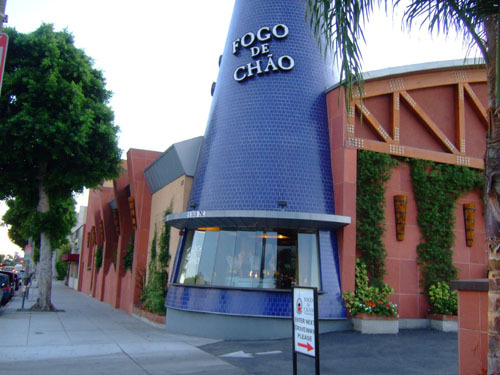 Located on Beverly Hills' famed Restaurant Row, Fogo de Chão stands out from the crowd with its conical blue tower. Parking is primarily valet, though some street parking is available. 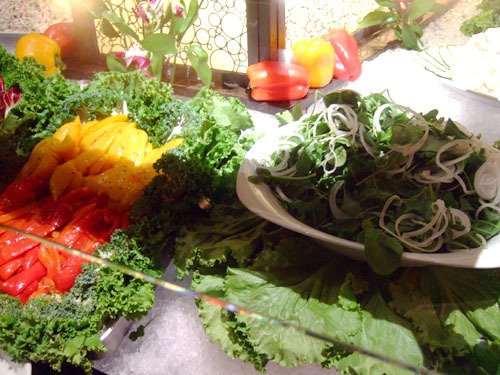 Parking in the nearby residential areas is possible, though make sure not to park in a permit-required zone (we once received a ticket for doing so while dining at Matsuhisa, located next door). 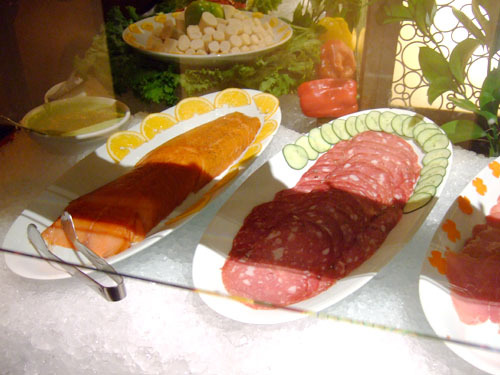 The blue tower houses the restaurant's display meat. 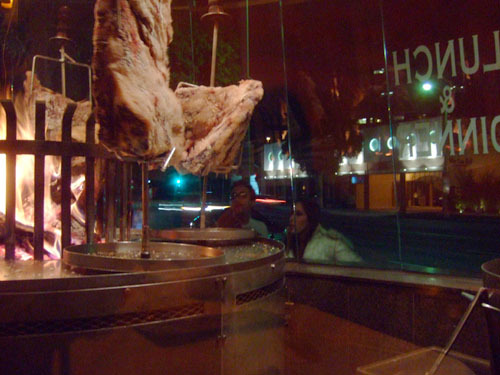 In the second photo, like moths to a flame, passersby are drawn to the large chunks of rotating beef. I arrived a bit early, so found myself in the bar area, where I ordered a mojito, but was offered a caipirinha instead. 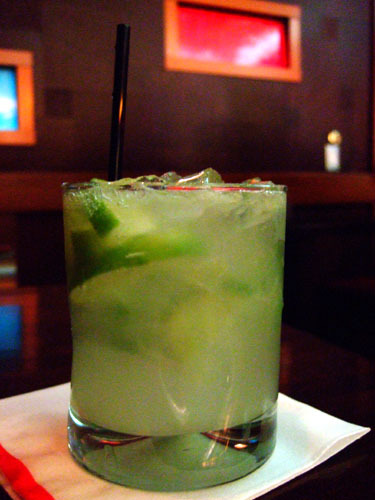 The caipirinha is Brazil's national drink, and is made with cachaça (a rum-like alcohol made from sugarcane juice), sugar, and lime. Taste-wise, it's fairly similar to a mojito. 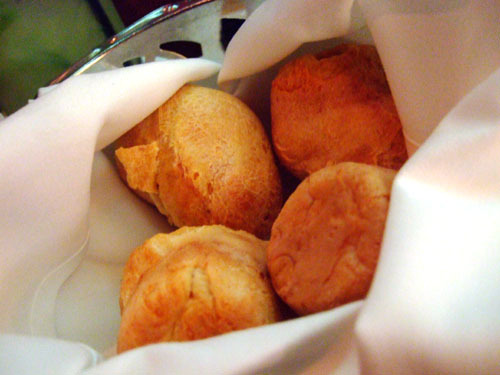 We were also given some gougère-esque cheese puffs; they were delectable, with soft creamy centers, though not as good as CUT's. 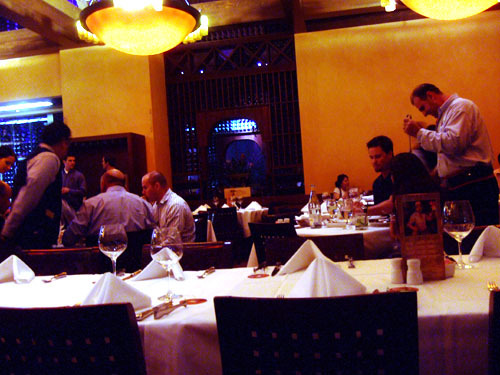 Fogo de Chão is a large restaurant, with seating for roughly 280 patrons, semi-private dining for 80, and a private dining room for 20. 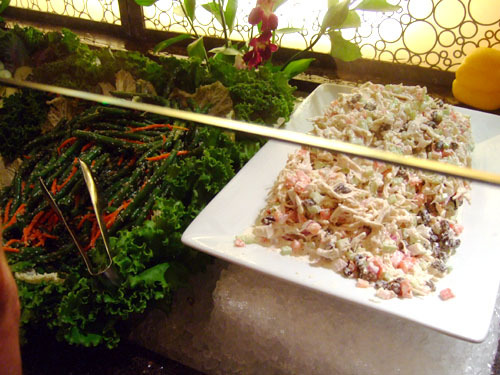 Numerous tables surround a central salad bar area, while a wine cellar takes up a good portion of one side of the room. 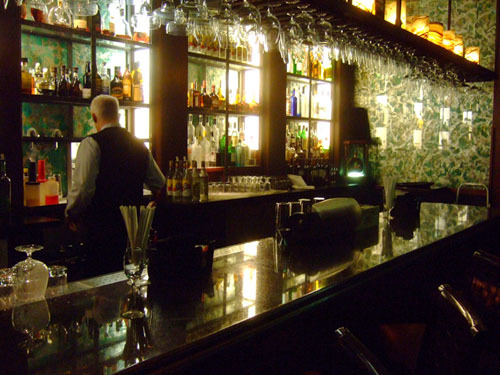 The space is decorated by rustic murals, while dark wood and dim lighting complete the ambiance. There's no menu per se, simply a listing of all the various meats. 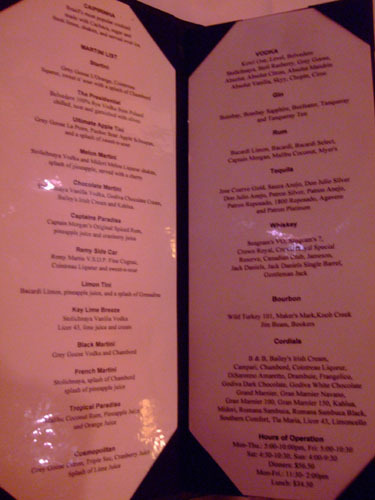 A total of 16 varieties were available on this particular night, and it was my goal to try all of them. I was a bit disappointed though that no exotic meats (e.g. 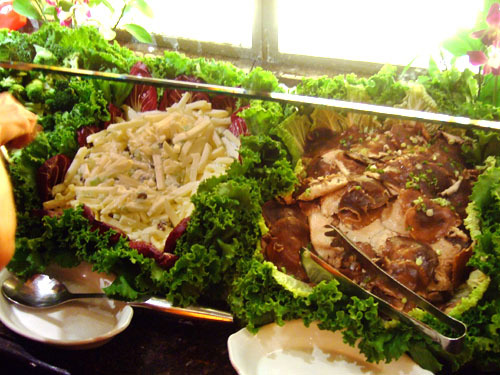 rabbit, chicken heart, alligator) were offered. Click for larger versions. 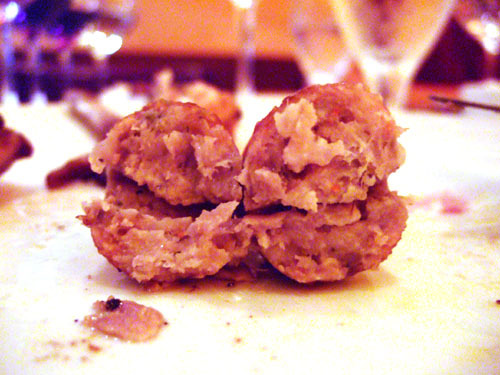 As with other churrascarias, you're supposed to be able to control the flow of meat. Simply turn the card green-side up (as shown) to signal that you want more, while showing the reverse side (red) means stop. Interestingly, it didn't seem to work, as the gaúchos kept coming fast and furious, green or not! The name card, provided by FoodDigger, was a nice touch. 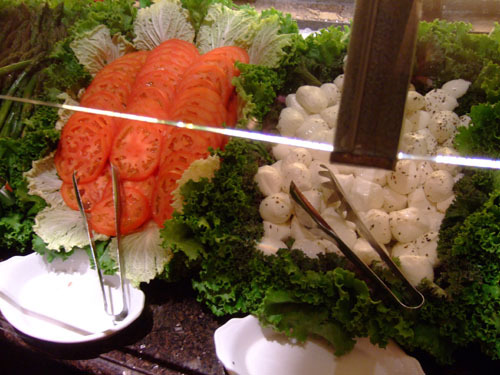 I won't attempt to recount all the various items in the salad bar. Not wanting to spoil my apetite for the meat, I ended up not trying any of it. 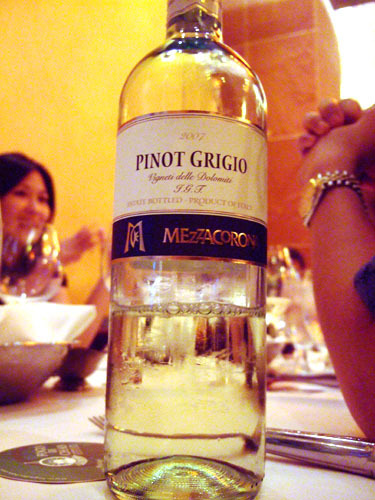 2007 Mezzacorona Vigneti delle Dolomiti IGT - A Pinot Grigio from Trentino-Alto Adige, Italy. A very easy-drinking white, this wine was light, slightly fruity, with a bit of citrus. Nothing wrong with it, just a bit boring. 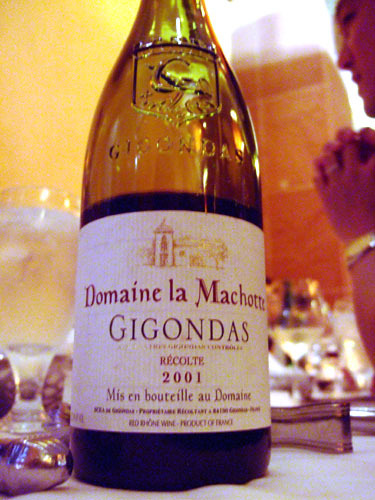 2001 Domaine la Machotte Gigondas - A blend from Southern Rhône, this was the lightest red of the lot, with juicy floral notes and a soft flavors leading to a gentle finish. Arguably the best wine of the night. 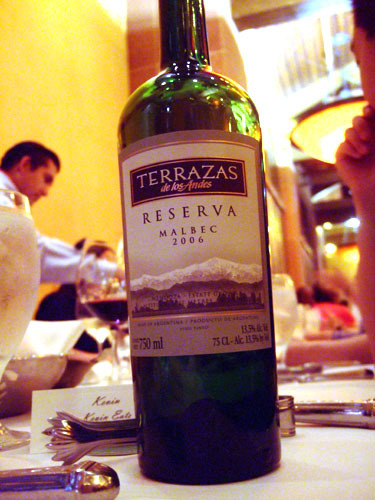 2006 Terrazas de Los Andes Malbec Reserva - A Malbec from Mendoza, Argentina. This turned out to be my least favorite wine that we sampled. Too acidic and oaky, not enough fruit, and a lot of heat on the finish. Bleh! 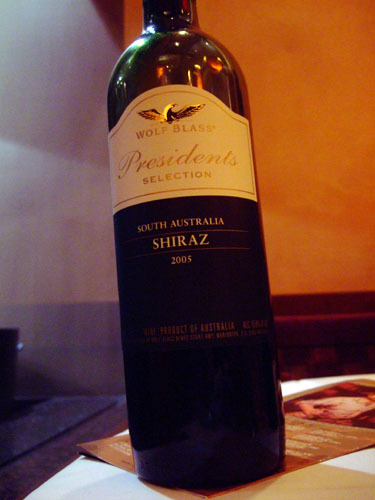 2005 Wolf Blass Shiraz Presidents Selection - From South Australia, the Wolf Blass was the most aggressive wine we tried, with tons of dark fruit dominating the palate. Overall a bit too tannic for me, with more pepper than I prefer. 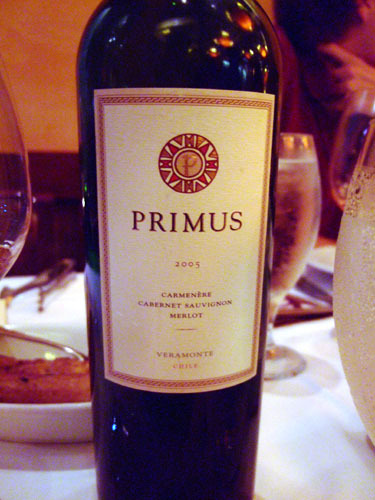 2005 Veramonte Primus - A Bordeaux-style blended wine from Casablanca Valley, Aconcagua, Chile, the Primus consists of Merlot, Cabernet Sauvignon, and Carménère. On the nose, I encountered a wonderful fruity aroma, with just a hint of grass. As for taste, I noted tons of light red fruit initially, leading to a richer finish of dark berries tinged with acidity. Surprisingly light, but very nice! 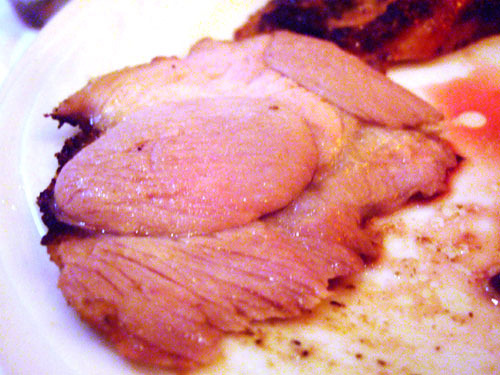 The first meat to arrive was the Lombo, or pork tenderloin. It was immensely flavorful (especially the skin), extremely juicy, wonderfully tender, and turned out to be one of my favorites of the night. This was a long strip of meat from the bottom sirloin (which is below the top sirloin, which is in turn underneath the tenderloin). 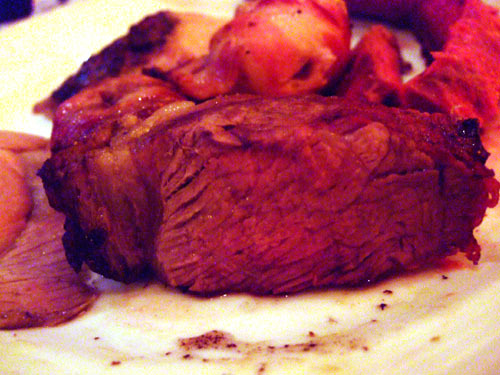 The bottom sirloin is considered tougher than top sirloin, but this cut was extremely soft and tender; unfortunately however, it was lacking in savor. 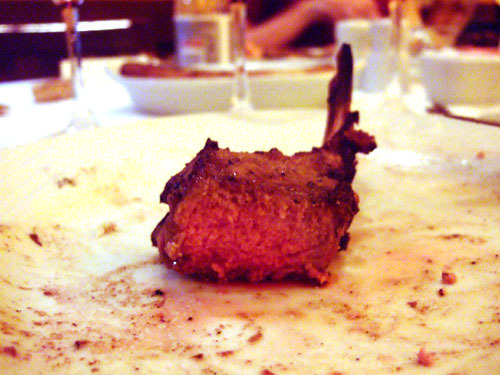 This was young leg of lamb, sliced off the bone, cooked medium. 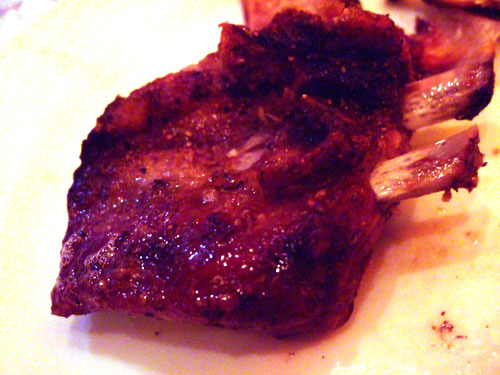 Though tasty, I found the taste quite mild for lamb, and the meat was a tad tendinous. Next was beef rib eye. The cut was nice and flavorful, without being overly fatty (as many rib eyes tend to be). 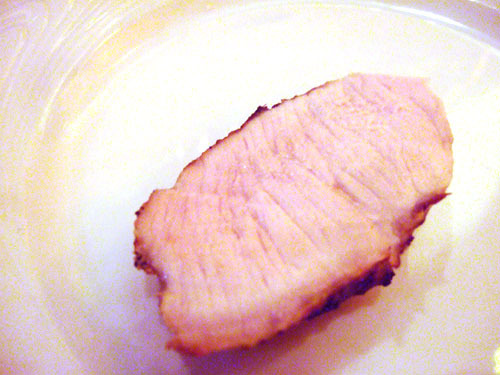 Texture-wise, the meat was a bit tough, and could've been cooked rarer. Nevertheless, I liked this one. 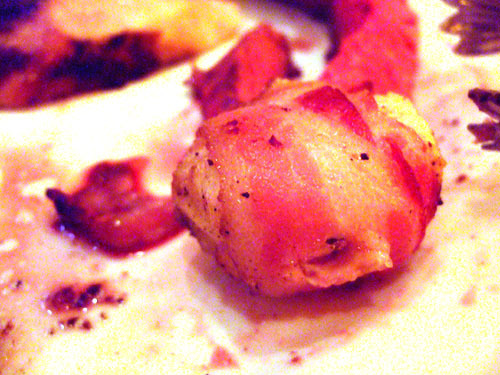 A small piece of filet, wrapped in bacon. This was far too well-done in my opinion, and a result, the meat was overly dry and lacking in sapor. Bacon does make everything better, but wasn't enough to save this. 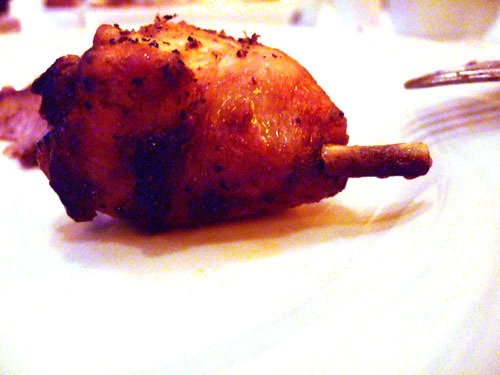 Spheres of chicken breast, wrapped in bacon. 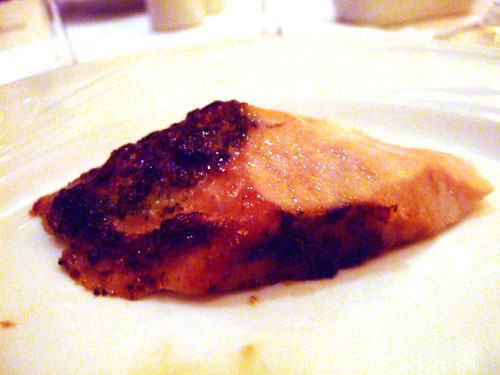 Much like the filet (they came from the same gaúcho), the chicken ended up dry, though it was more serviceable than the filet. 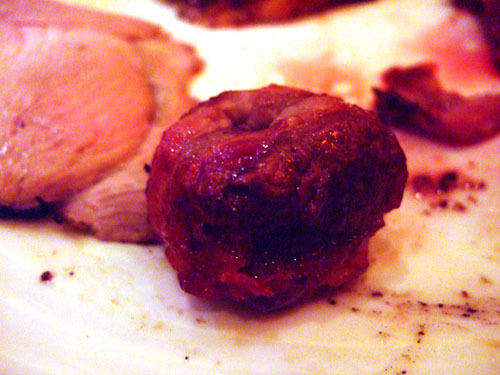 This was the more traditional preparation of filet mignon, compared to the bacon wrapped balls above. 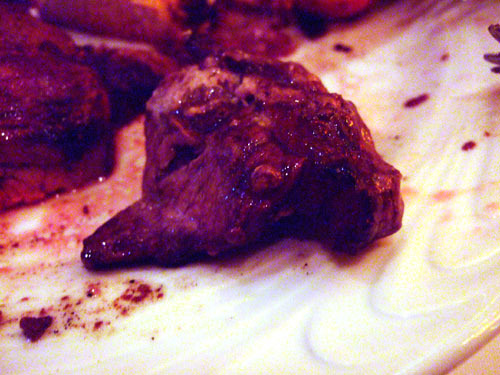 It was also much better, like a good filet mignon steak: tender, juicy, with a toothsome taste. 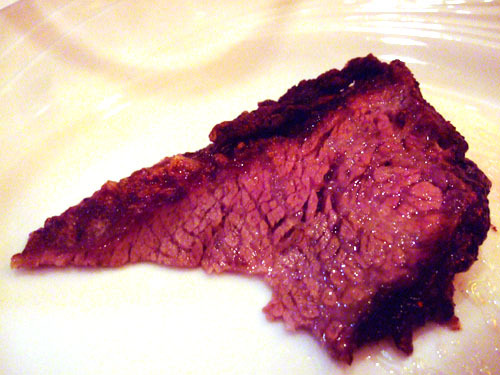 Cut from the top sirloin, this piece of meat was cooked rare and proved tender and full of relish. 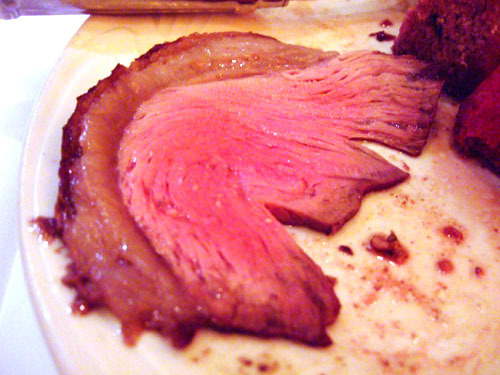 Much better than the bottom sirloin, or Fraldinha, above. Yum! 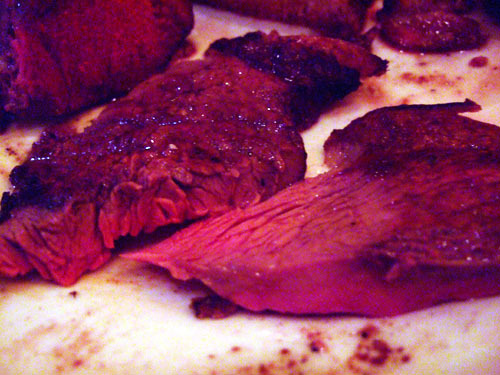 Advertised simply as "garlic beef," I believe this was actually Picanha, a sirloin cut. 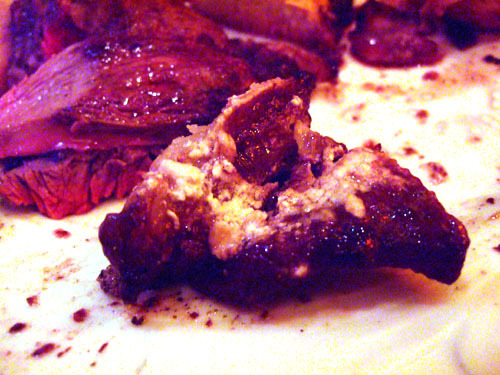 The meat had a great garlic tang, but unfortunately, the cut was far too fatty, resulting in me trying to chew through fat rather than enjoying the meat. 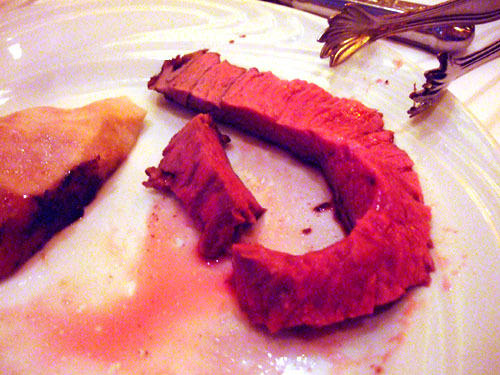 I was told this preparation of Picanha, from the sirloin, was Fogo's "house" or "signature" cut. I can certainly see why, with its soft, juicy flesh and delicate flavor. I just wish it were a bit thicker. 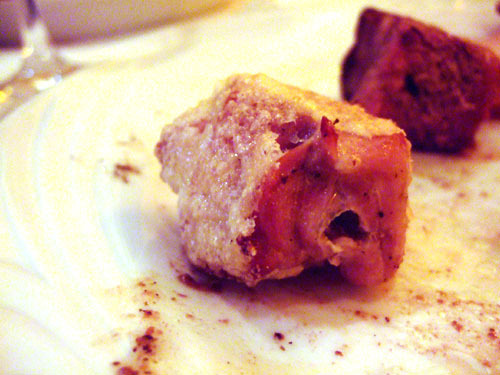 This was described as "Parmesan pork" by our server. 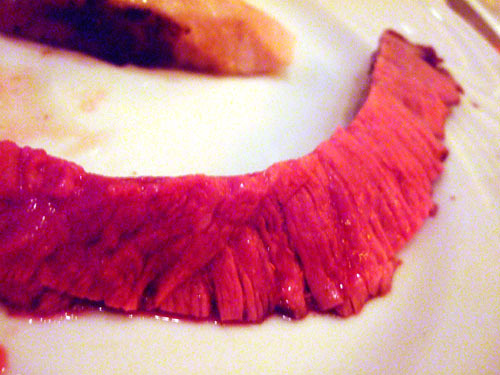 Cut from the loin, as with the Lombo above, this version was unfortunately much drier, less juicy, and had a flavor completely dominated by the cheese. 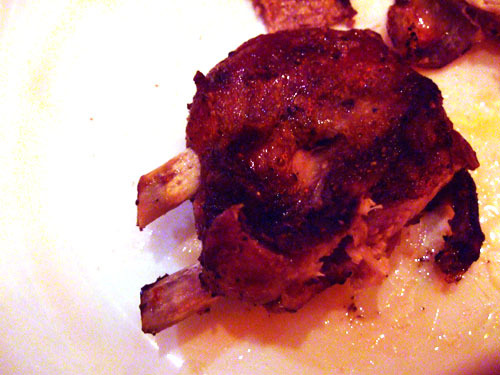 I was expecting a lot from these lamb chops, but they didn't quite deliver. 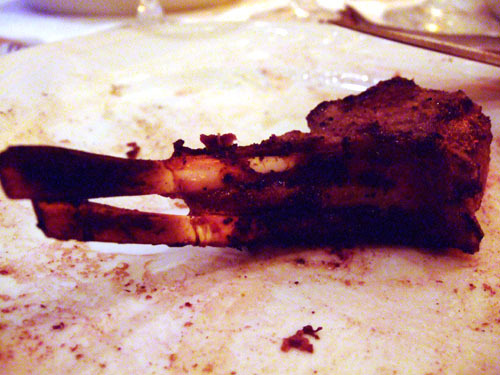 Indeed, they were succulent and tender, but simply lacked the piquant zest of lamb I was looking for. A tasty preparation of chicken legs, these had a unique flavor to them that I couldn't quite identify. 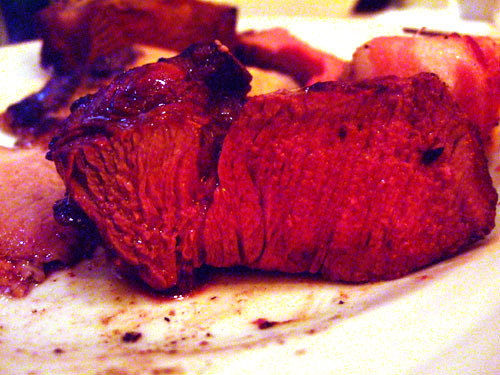 Nevertheless, this was one of the strongest meats of the night, with the skin being especially delicious. Slow-cooked beef ribs. These were so soft, and so succulent, while retaining all their beefy goodness. One of my favorites. It was interesting to compare these slow-roasted pork ribs to the beef ribs above. 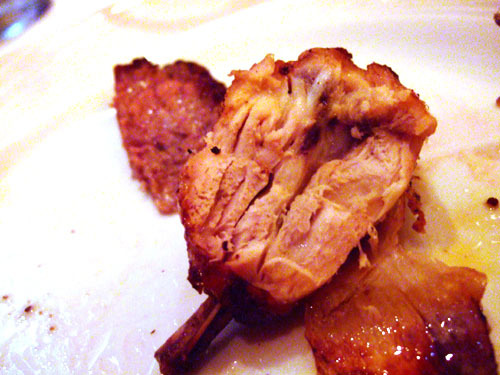 The pork ribs had a great, smoky BBQ tang, but lacked the succulence and tenderness of the beef. Finally, the last meat of the night, 16 of 16. 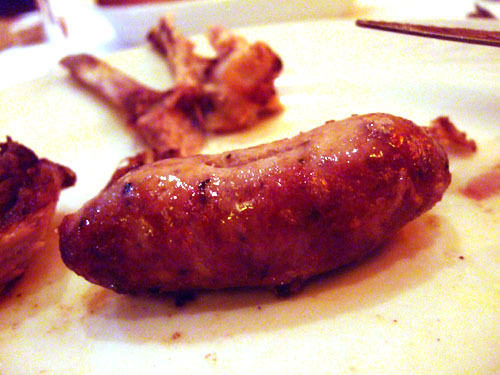 This was basically a pork sausage. Decent, but I thought it'd be much more flavorful and juicy than it was. 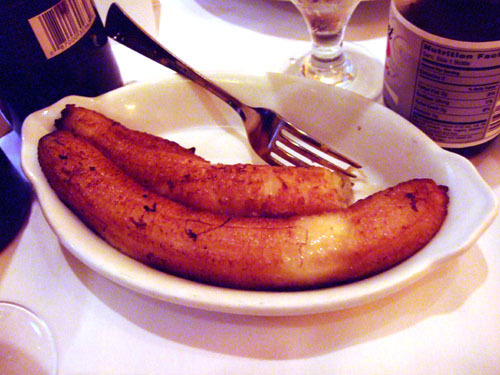 In addition to all the meat, we were given sides of mashed potatoes, fried polenta, and fried banana, all of which I found completely unnecessary. 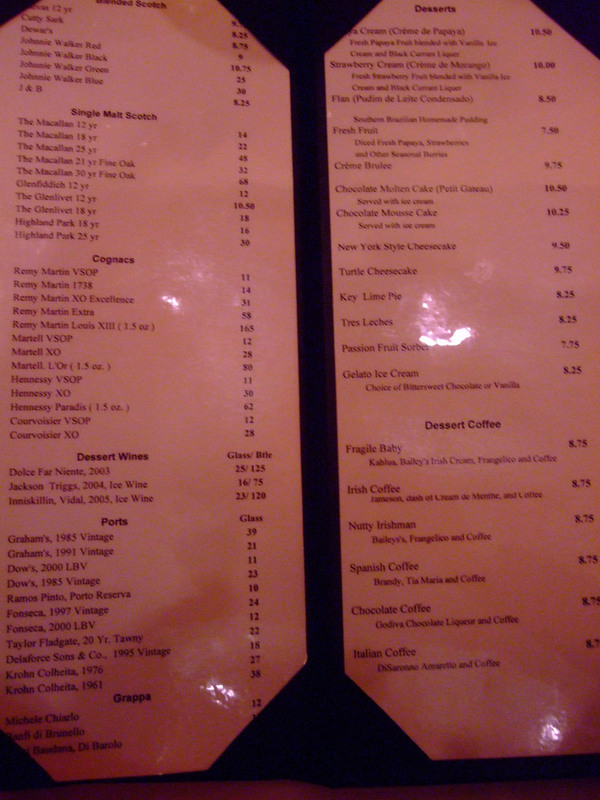 Here we have the dessert and after-dinner drinks menu. Dessert isn't typically included in the price of admission, though our host kindly included the sweet stuff to properly cap off the meal. Click for larger versions. 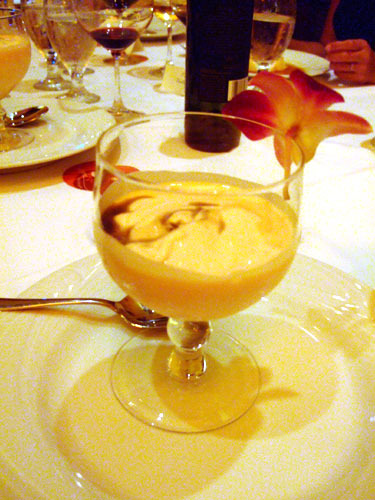 Fresh Papaya Fruit blended with Vanilla Ice Cream and Black Currant Liqueur. Much to my surprise, the papaya flavor here was undeniably mild. 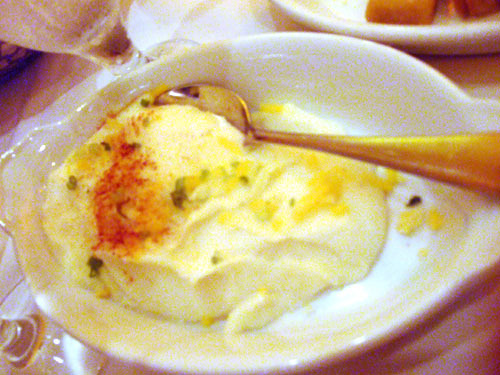 Not a problem, as I enjoyed the dessert's refreshing cool creaminess. 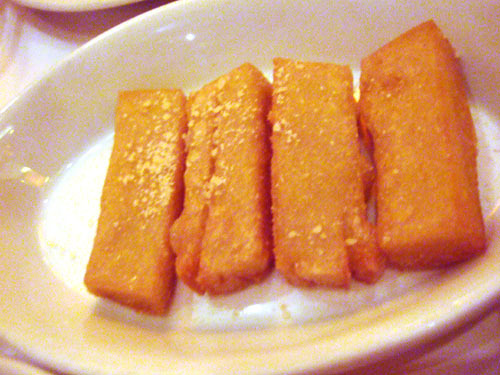 Tres leches cake is, of course, cake soaked in evaporated milk, condensed milk, and either whole milk or cream. I was told by one of my dining companions that this was the best dessert offered. After tasting it, I don't doubt that claim, though it certainly wasn't the best version I've had. Southern Brazilian Homemade Pudding. 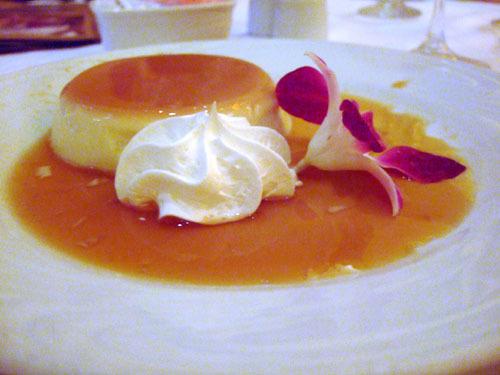 A good, though typical, preparation of flan, with an intensely rich caramel sauce. Note the use of the same flower in all three desserts. I don't usually talk much about the service in my blogs, but in this case, I must note that the service was surprisingly helpful and gracious, from the clearing of plates, to the pouring of wine, to bringing me certain meats that I'd requested (in my quest to try all 16!). I don't know if this was because we were here with FoodDigger, but it was nice in any case. 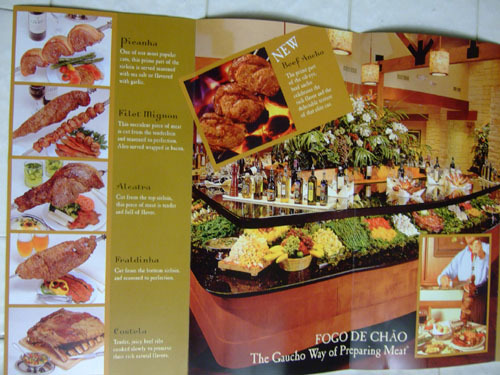 Now, as for the food, Fogo de Chão is all about meat, so don't come in expecting anything fancy, innovative, or cutting edge. 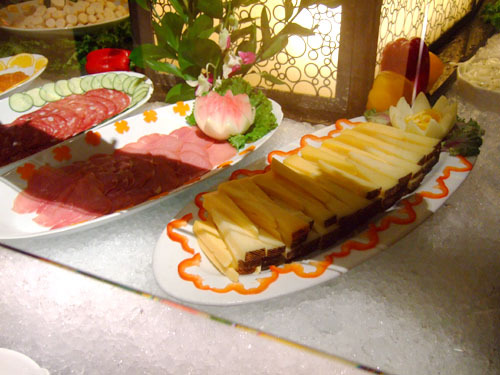 Once you view the restaurant for what it is, a temple dedicated to meat, I think you'll find that, despite a few missteps, the place largely succeeds. 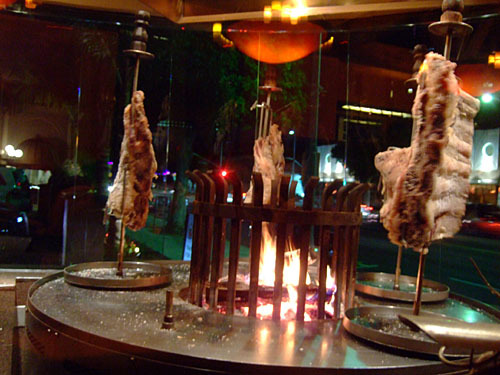 It was definitely my best churrascaria experience to date. Wow, I commend you for making your way through all 16. Your entry was encyclopedic. It was sort of odd that not more bloggers were taking pictures, but I guess most of them haven't been doing this as long as you. Very nice review Kevin. I don't know how you kept your meats straight. My head was spinning once all the gauchos came by with the first round of cuts and I gave up on taking photos completely. aaron: I also was surprised more of the bloggers weren't photographing. Perhaps the lighting conditions were just so bad? i was holding my breath that you would like the place. not all the meat is 10 plus, but enough it is tasty enough to keep one smiling. I always find the service outstanding too. 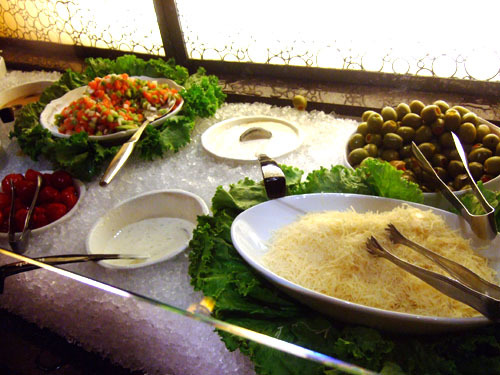 next time you have to try the salad/meat/cheese bar...its simply incredible too. one warning though..be careful with that papya digiestive desert in the future, i know someone who it worked too well/quickly for. 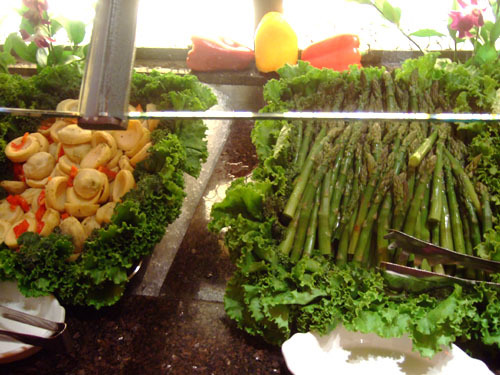 I'll definitely be sure to try the salad bar next time, now that I don't have to worry about trying all the meats. I had no idea the papaya was supposed to be a digestive though! zomg...I am in a meat coma just looking at those pics. 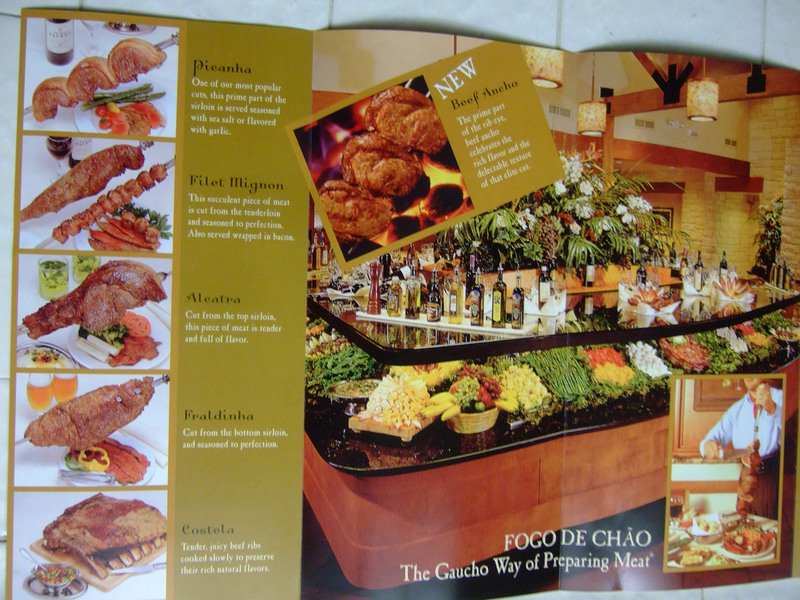 For some reason, Fogo de Chao scares me. I am unsure why. Which do you prefer? Fooddigger or FoodBuzz? Well, large meat can be intimidating. 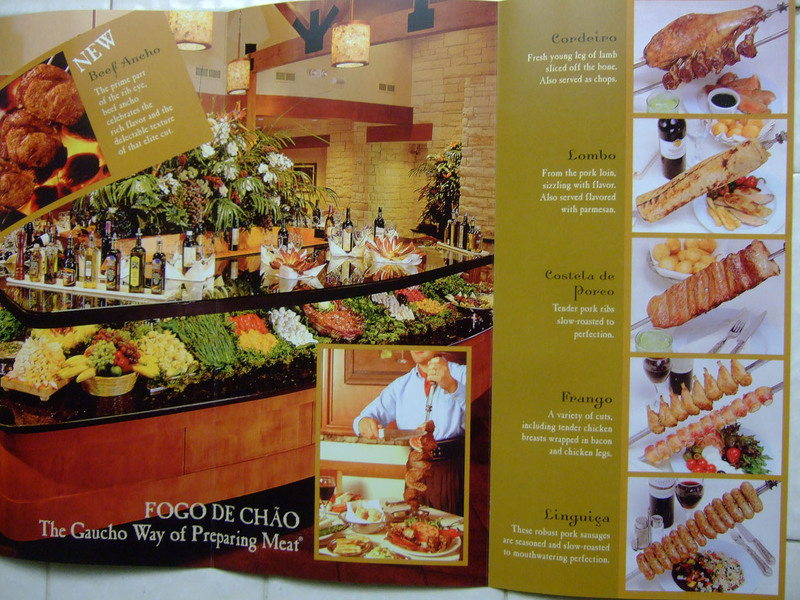 I think all of us were in a meat coma after Fogo though! As for FoodDigger vs. FoodBuzz, I actually haven't used FoodBuzz so I can't comment. What about you? Full time school and blogging don't mix man, but am still working at my post as we speak. Hopefully, next time we'll sit closer so we can talk a bit more. Full time school eh? That's no excuse, try full time work and part time school. ;) I'd be interested to see your review of the place though. Hopefully there'll be another event soon! Papaya is a digestive. I believe one of the old meat tenderizers was essentially powdered papaya. Another excellent walk-thru (that's how i feel when I read your entries)! 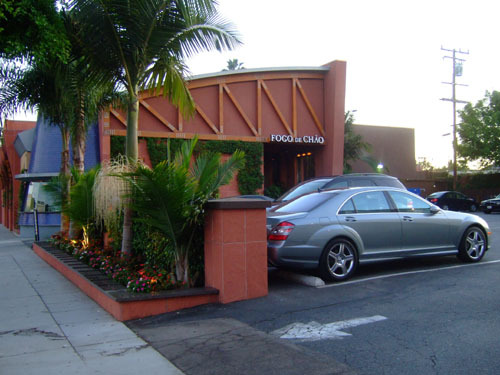 I haven't been to Fogo de Chåo yet, yet I pass it all the time when I'm in West LA. I see you haven't tried Agorra in Irvine yet. 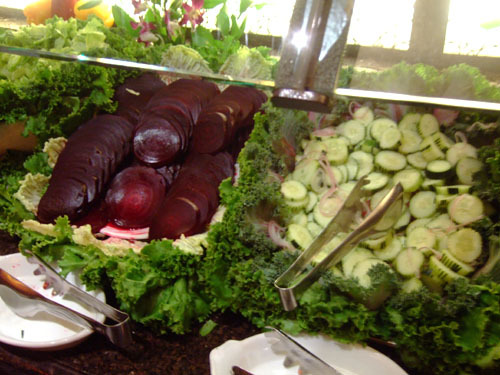 I have been there twice as it is my closest Brazilian Churrascuria. You should check it out. Walk-thru is an apt term. 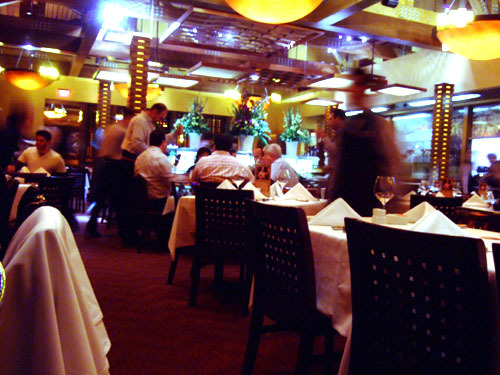 Rather than a mere "review," I do try to convey the whole dining experience, as if the reader were actually there dining with me. 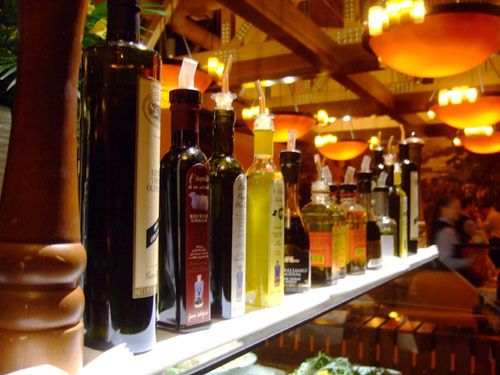 I haven't been to Agora, but I've heard some pretty good things about the place. 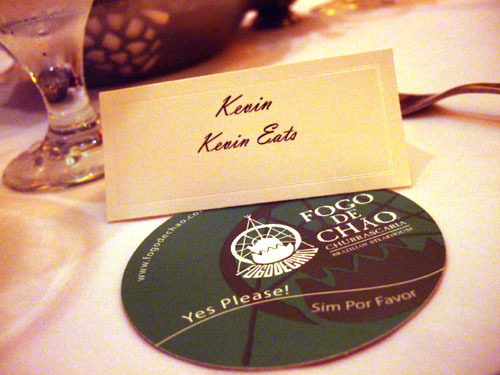 It may be the next best thing to Fogo! going here again for lunch today kevin!!! 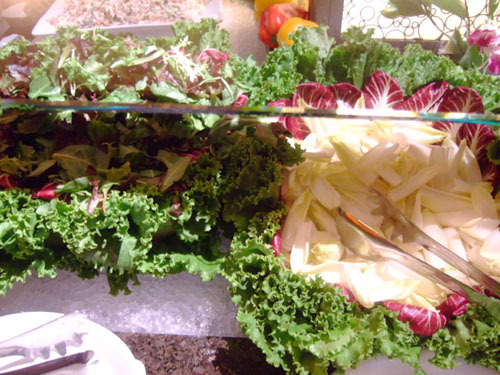 i try to skip the salad bar..but its so good (esp. 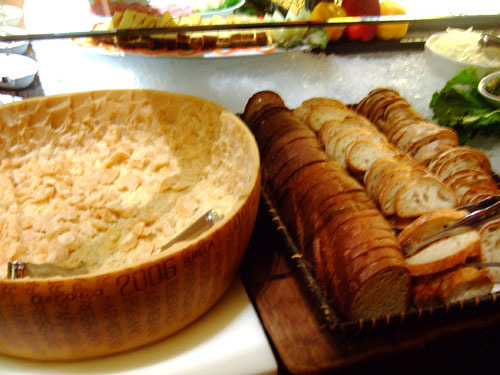 the meats and cheese) its hard to pass up! Lunch is tough for me at places like this, as my appetite isn't as big during mid-day. In fact, many times I don't eat lunch, or breakfast, and just have one large dinner. wow kevin. no breakfast or lunch? you got quite the control. no wonder you can put away a 35 course meal. 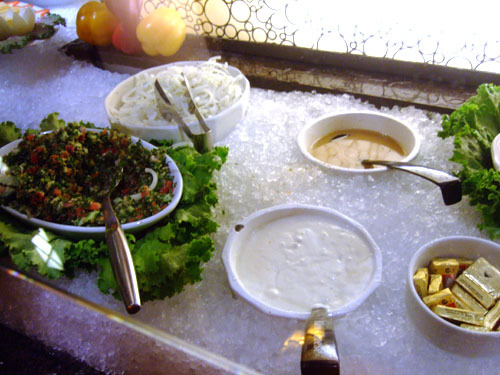 I've been fasting today as well, for 60+ courses hopefully at The Bazaar. 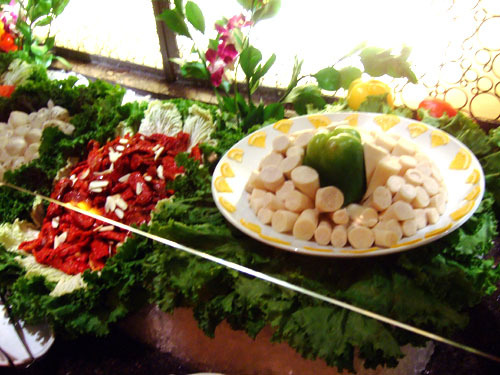 Thanks so much for your review of Fogo de Chao! Your photos are really great. Did you know that another location opened up in Baltimore? Too Shy to Stop writer Natasha wrote a review, which you can read here. Where is the best tres leches you've had in LA? 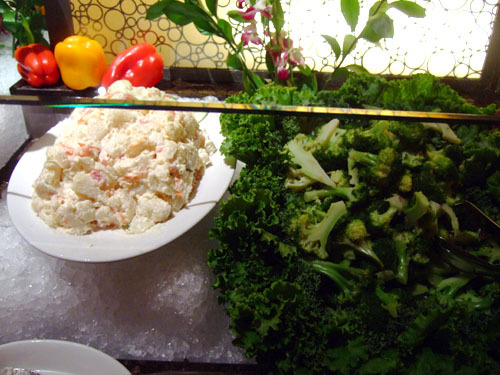 Our favorites are at Fogo and Animal but if you've had better, we will have to try it asap! 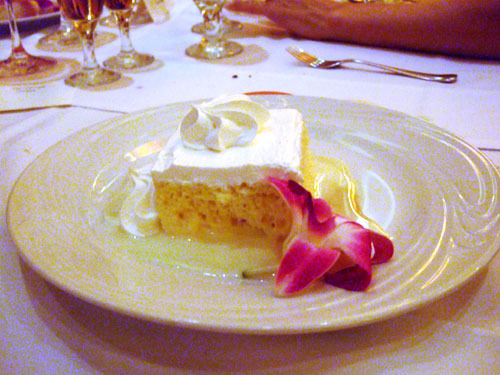 In terms of tres leches, surprisingly, my favorite was actually at Gulfstream.